I am all about the STANDARDS. 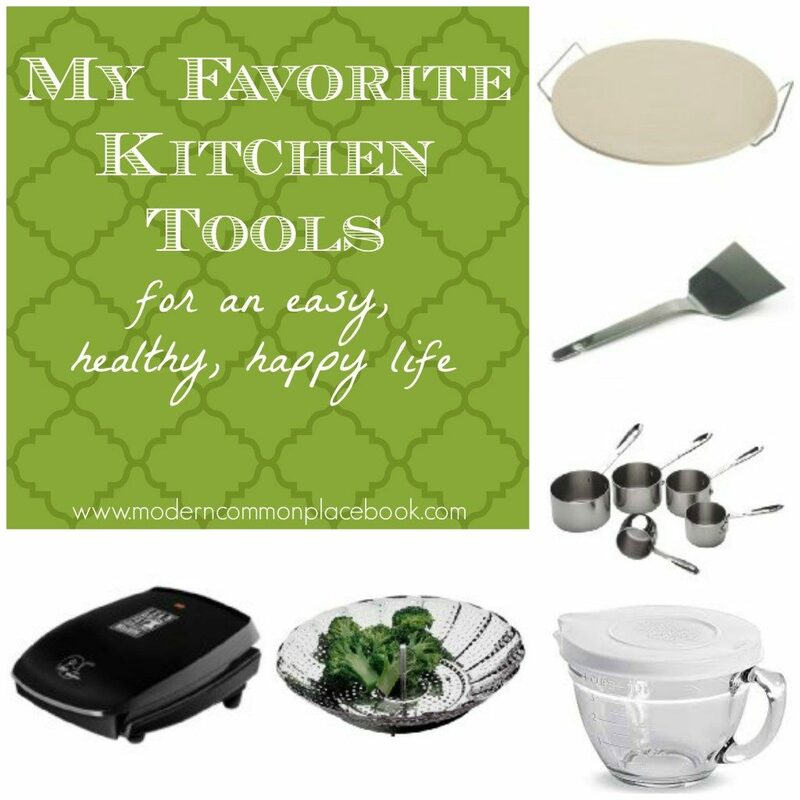 Forget fancy, shmancy kitchen gadgets, these are my must-have basic kitchen tools. I can’t live without my pizza stone. I keep this in the oven at all times – and use it for cooking pizza, broiling cheese toast and cinnamon&sugar toast, cooking cookies – pretty much everything. I kinda wish I had two! This cookie spatula was the first tool my aunt and mom gave me when I got married – it is a must-have. It’s tiny, but brilliant. I use this for cookies, brownies, bar cookies – everything. Good measuring cups are a must. And I am spoiled by these heavy-duty All-Clad Measuring Cups. They are an investment at $35, but the minute you use them you’ll know why. Everyone who sees them marvels – worth it. Forget plastic mixing bowls -this batter bowl does everything! I use it for mixing cookie dough, pancake batter, bread dough, pasta and green salads – everything. And the lid makes it tote-able. I use this more than any other bowl in my kitchen. We use this for steaming vegetables all. the. time. It’s cheap and makes the healthiest veggies ever. I LOVE steaming broccoli and tossing it Greek Seasoning – done. Healthy and fast. Good ol’ George Foreman. We don’t have an outside grill, so this is a lifesaver. Of course I use it for burgers, salmon, chicken, steak – but I also use it for our FAVORITE paninis and pressed sandwiches (recipe to come!). It is FAST and healthy (because it drains all the fat off). This is a perfect size for two people – and they have many other sizes. Do you have favorite kitchen standards? Please share!